Experienced Butchers and Gourmet Meat – A Cut Above! Bryce Goodall – Butchery Manager. If meat is the cornerstone of your meals, we’ve got you covered! We have a team of fully qualified butchers looking after you every day. That means you won’t find meat stacked high and over loaded in our meat case! We cut our cabinet to demand, ensuring you always receive the freshest available meat products, put out “just in time”. You will find a full range of organic, gourmet, free range, corn fed, aged beef and wild game as well as your traditional favourites. Wash Creek organic lamb and beef comes from animals that are free to roam on the Hurunui hills where they eat organically grown forage and are treated humanely at all times, which gives this meat outstanding flavour, colour and texture. These chooks live longer, happier lives than any conventional free range chicken. The chicken grow naturally on a Hawkes Bay orchard so as a result the meat is better formed, it’s higher quality and superior tasting. They thrive on a wholesome diet of certified organic, lush, green grass and our juicy organic apples as well as home-grown feed, including corn and barley. We’re not selling the sizzle; we’re selling the sausages… Including gourmet sausages made by our friendly butcher “Heck”, (he’s German so knows a thing or two about sausages…) Add to that free range hams and bacon SPCA approved from “Harmony Foods”, pure Angus beef burgers and rissoles made daily in store, and you’ve got a meat fest that Fred Flintstone would be proud of. 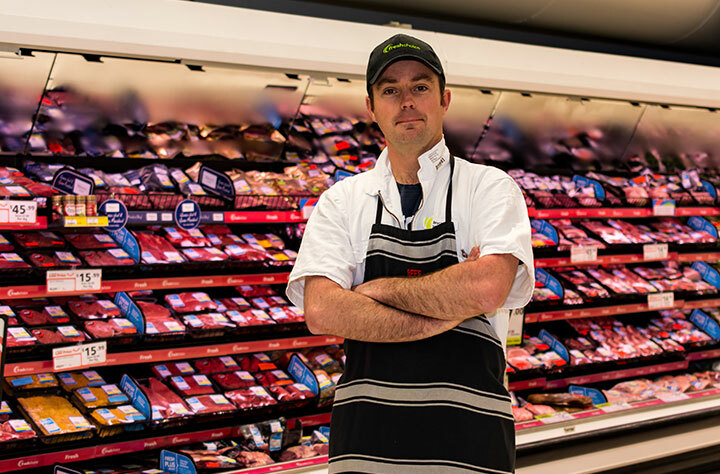 Our experienced butchers at Fresh Choice Nelson City produce the finest quality cuts of lamb, beef and pork to ensure you get the best value for your money. We bring you fresh fish from Monday to Friday direct from the local Talley’s fishing boats. Arriving in store around midday. The quality of our fresh fish is guaranteed, as it has been landed and processed that morning in Motueka less than 1 hour away from our store. 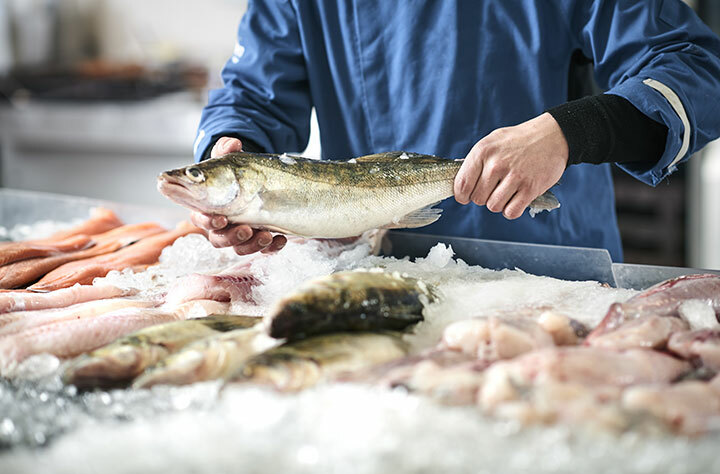 Our white fish range includes Gurnard, Cod, Tarakihi, Hoki, Bluenose, Warehou, Monk, Flounder, and Moki, but keep an eye out for other choices as quota and seasons allow. Fresh farmed Salmon is a firm favourite, delivered to the store most days. The health benefits of this blushing pink beauty are hard to beat. It’s available in fillets, diced, sliced, kebabs, nibbles and as whole fish – there’s a Salmon cut for every occasion. On Thursday our game fish is delivered from Fiji via a local fish company this includes Mahi- Mahi, Yellow Fin tuna, Blue Fin tuna and Swordfish. Our Policy on seafood is to provide you with everyday low prices on quality fresh fish so you are guaranteed value for money.